The framework surrounding this 5x7 window appears constructive of old age Timber. Drape over the wood it appears to be upholstered with genuine cowhide leather. But actually the frame is constructed of a durable resin and painted very realistically. Turquoise accents Adorn the frame as well as turquoise crosses. 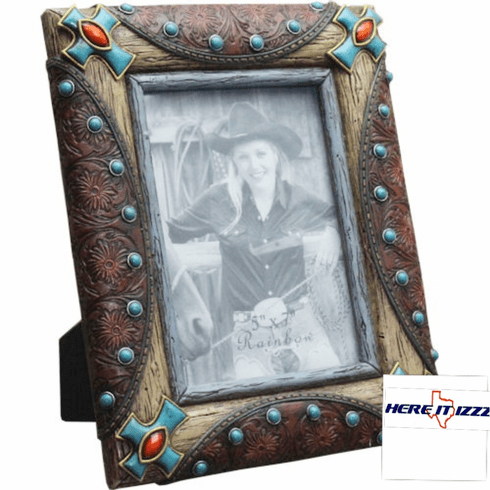 This is a self standing 5 x 7 photo frame perfect for a picture of your favorite mother-in-law.